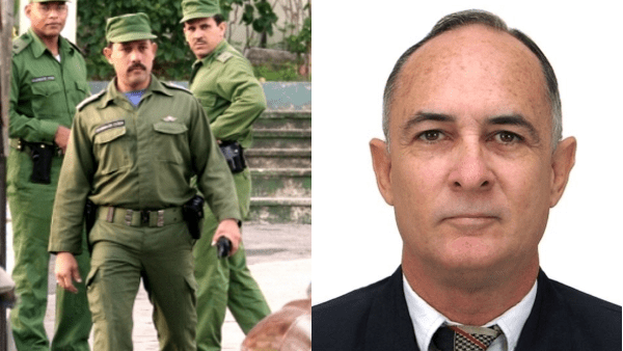 Cuban Human Rights Groups Denounces More Arrests and Consolidation of the "Totalitarian Model"
14ymedio, Havana, 1 August 2018 — During the month of July there were 229 arbitrary arrests, “for purely political reasons, of peaceful dissidents”, the Cuban Commission for Human Rights and National Reconciliation (CCDHRN) denounces in its most recent monthly report. The figure is 107 arrests more than in June. Cuban State Security “carried out 36 illegal acts of harassment, directly or through other repressive structures under its control.” These actions against the dissidents are embedded “within a permanent strategy aimed at intimidating, discouraging or demobilizing peaceful opponents,” warns the text. The report includes the case of three independent lawyers, Maybell Padilla, René Gómez Manzano and Carlos Miranda, who were “prevented from attending a legal profession event that took place in Uruguay at the end of July.” A similar situation happened to activist Daniuska González and musician Gorki Águila, who were forbidden to travel abroad. “In all cases, plane tickets and other financial resources have been lost to cover collateral expenses related to travel,” the CCDHRN says of these repressive acts. “With these changes in the constitution, the Castro regime ensures its permanent objective of guaranteeing the reproduction of the totalitarian model that has been on the island for almost six decades,” the report criticizes. Last June, the CCDHRN estimated the number of political prisoners on the island at 120. Among them, the case of Eduardo Cardet Concepción, leader of the Christian Liberation Movement, stands out.